Oval faced people look out at us, their features distorted and elongated as if the face is being pulled apart from both ends. 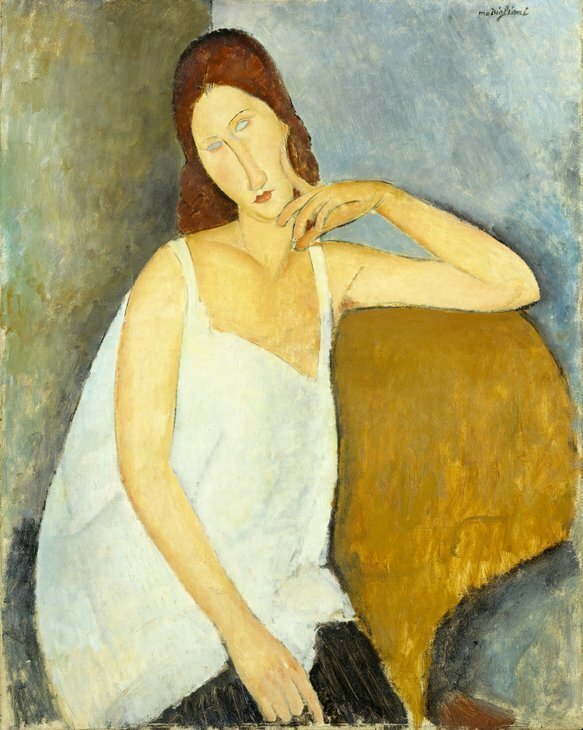 This is the distinctive style of artist Amedeo Modigliani, best known for his portraits. Tate Modern has pulled together a massive exhibition of his works across his short lived career into its latest blockbuster exhibition. Before we get to his trademark, we start off with his early works that evoke the style of his contemporaries. A cellist painted in the style of Brancusi looks so absorbed in his music it's as if we're not even here to observe him, and a beggar becomes more dynamic when painted in broad brushstrokes in the style of Cezanne. A gypsy girl's face is presented as so angular it's as if she's half-lion, half-human and a man is painted with such a square jaw it's like he just leaped off the pages of a 1950s noir crime novel. 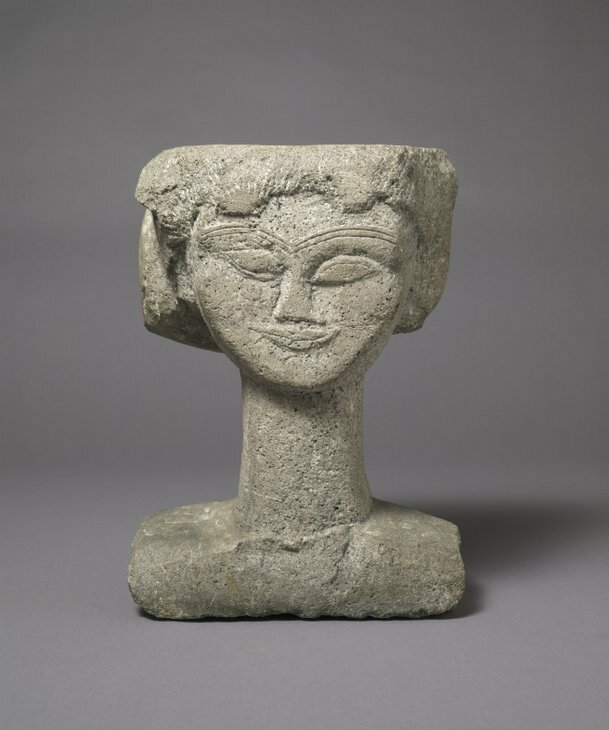 Sculpture is a part of Modigliani's portfolio we weren't familiar with, and there's a great room full of angular heads. In one row, each successive head gets further elongated. The last one is so tall and slender we imagine it was a case of seeing how far he could literally stretch this technique. It's about the halfway point that we dive into the familiar territory of his oval faced portraits, some with naturalistic eyes, others coloured or cross hatched so it's like looking into dead soulless eyes. This grants them a stillness that is very much in keeping with Modigliani's style. Tate has dedicated a large room to his nudes, and while they were most likely produced as titillation for his clients, there is a beauty to how each one is executed. An interactive touch is included through a virtual reality (VR) experience. Don a headset and enter into the studio where he produced his paintings. The detail is impressive, with a smoking cigarette next to his easel and rain visible outside the ajar window. It's great to see VR being used not as a gimmick but as a supplement to the exhibition, allowing visitors to experience something they wouldn't be able to do in the flesh. 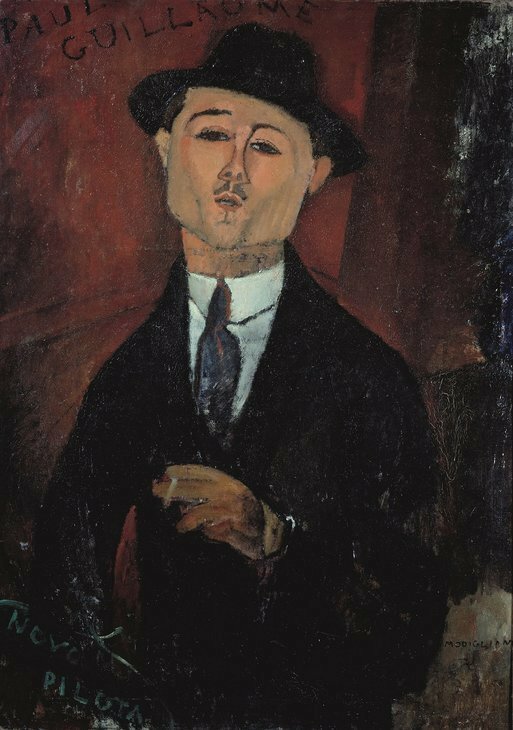 We're not a fan of everything Modigliani created but this show is so comprehensive that it's easy to ignore our less-favoured works. Tate is great at creating a truly comprehensive exhibition that leaves you with everything you'd like to know about an important artist's portfolio. It did it with Giacometti and this is yet another tour de force. 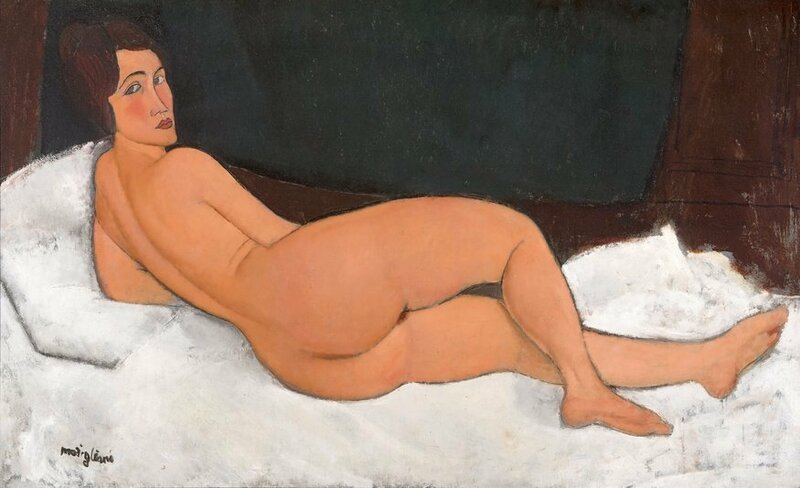 Modigliani is on at Tate Modern until 2 April 2018. Tickets are £19.70 for adults.